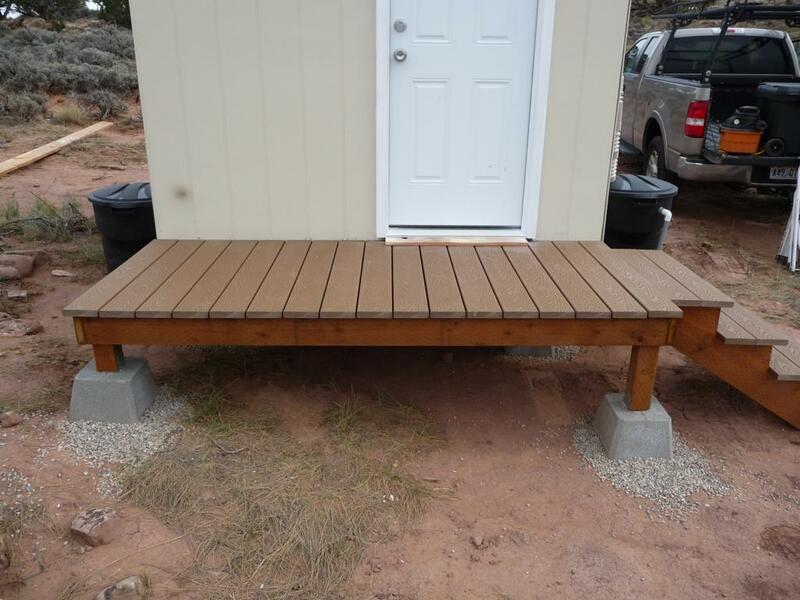 I added a "mini-porch" to the mini-cabin using two more deck piers and a frame made of treated 2x8's. The porch is 8 feet by 42". 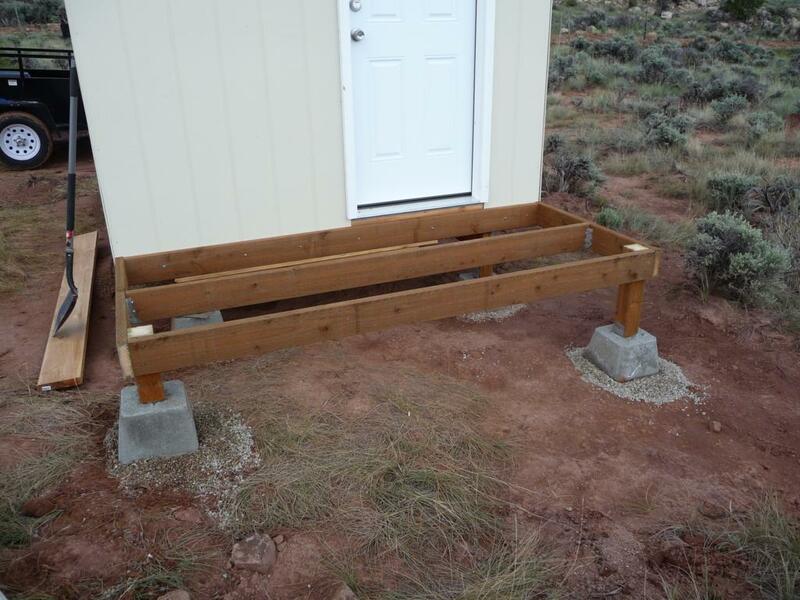 The frame is attached to the front of the cabin with lag bolts and the other side sits on the deck piers. 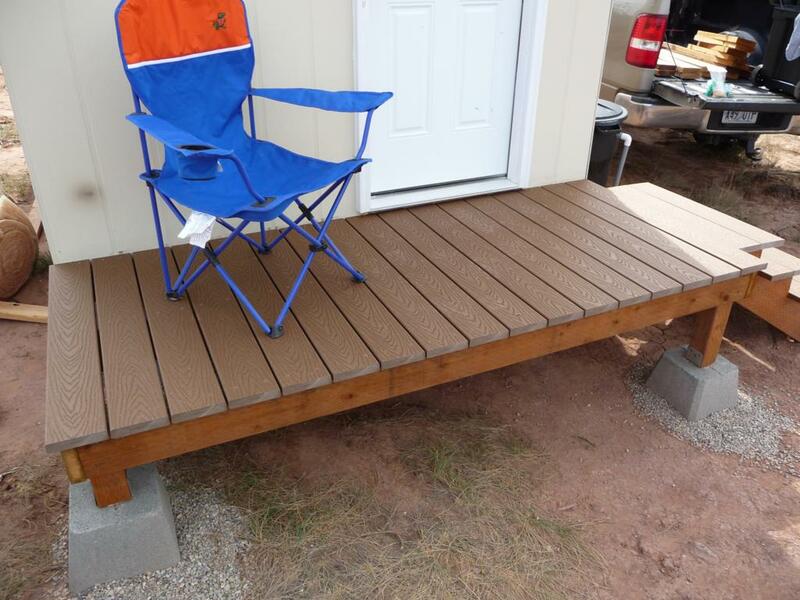 I used composite decking for the floor of the porch. 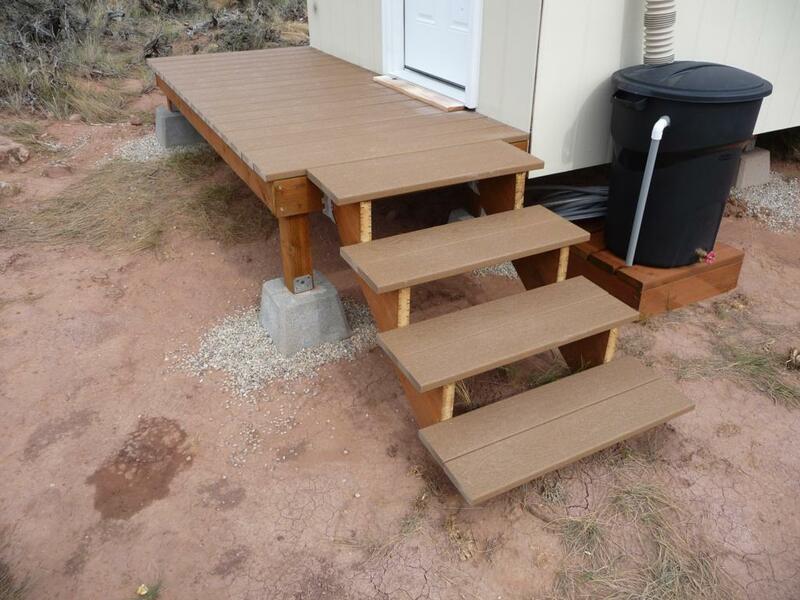 I also built some steps using 2x12's for the stringers. I found some instructions on the internets for cutting the 2x12's for a given rise/run and cut them out with a circular saw and jigsaw. 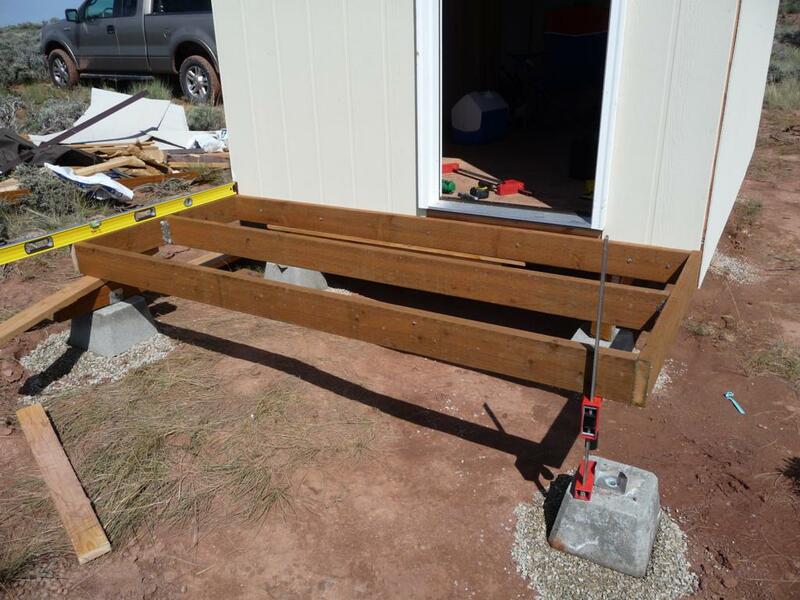 The stringers attach to the porch frame using joist hangers. 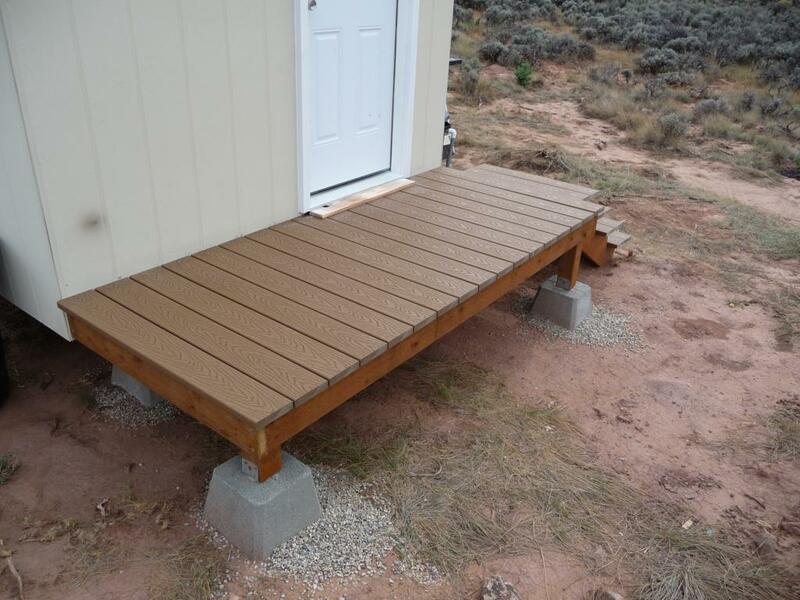 The finished porch is very solid.